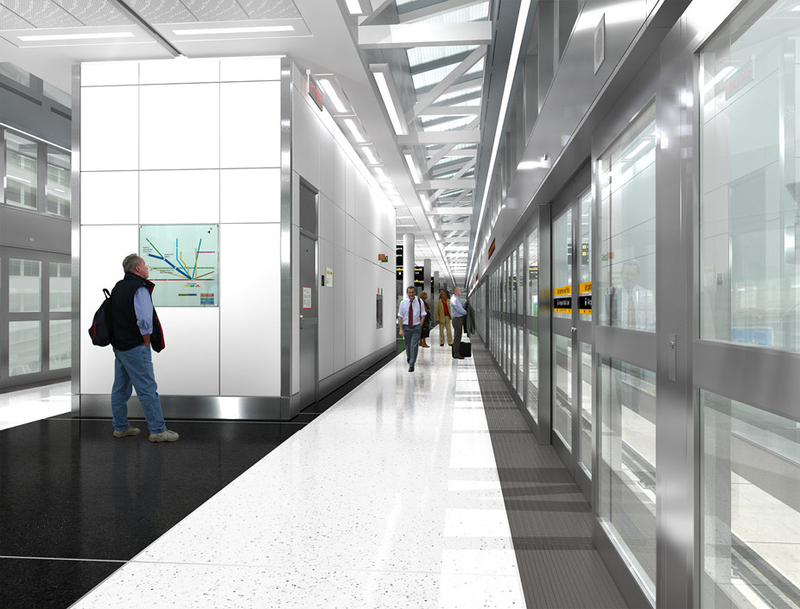 UP Express Airport Rail Link - Strasman Architects Inc.
As part of the SNC Lavalin Air Rail Link Group Strasman Architects Inc. was retained to provide complete Architectural services for the design of the Terminus station at Pearson International Airport. 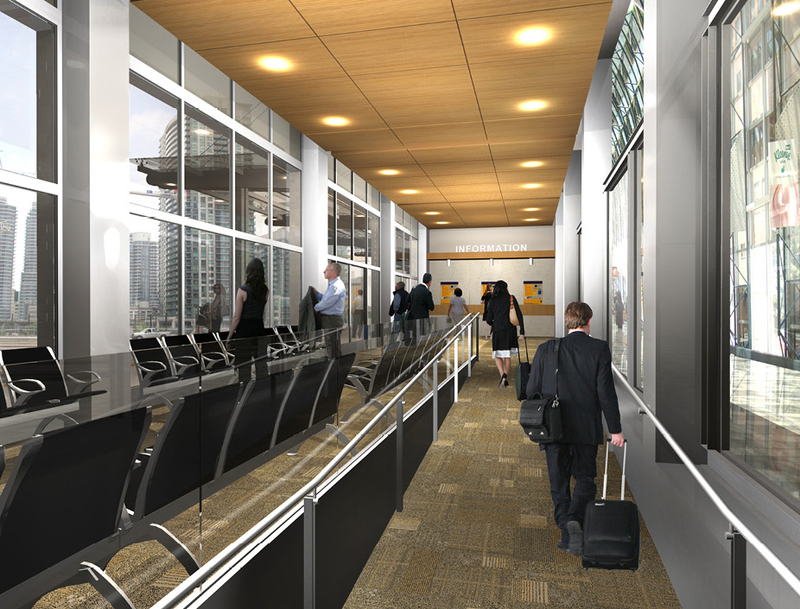 The design and Development stages spanned several months and required 3 presentations to a Design Review and Compliance panel consisting of the client (Metrolinx), the GTAA and the Compliance team of Architects and Engineers. Our role as Designers was to coordinate all disciplines-Mechanical,Electrical,Structural , Civil.and Fire and Life Safety. As in all P3 projects the cost was a very important component of the success or failure of the bid. To this end, we were intimately involved in the construction processes: scheduling,phasing temporary facilities, the redirection of traffic and pedestrians and the safety of every aspect of the construction process. 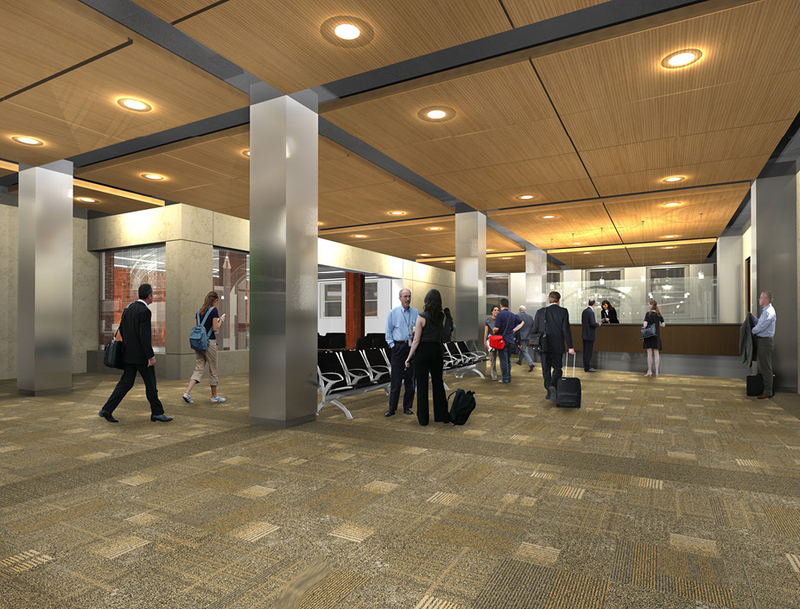 The project was designed to acieve a LEED rating of Silver. Because this station was being built at the very Hub of arrival and departure activity, a great deal of time was spent by the team to phasing, scheduling and traffic diversions as well as the delivery of the building components. Because this was a P3 competitive bid we had to take all drawings to a minimum of 30% to ensure the drawings were fully coordinated, all finishes specified, and constructibility ensured and costed. 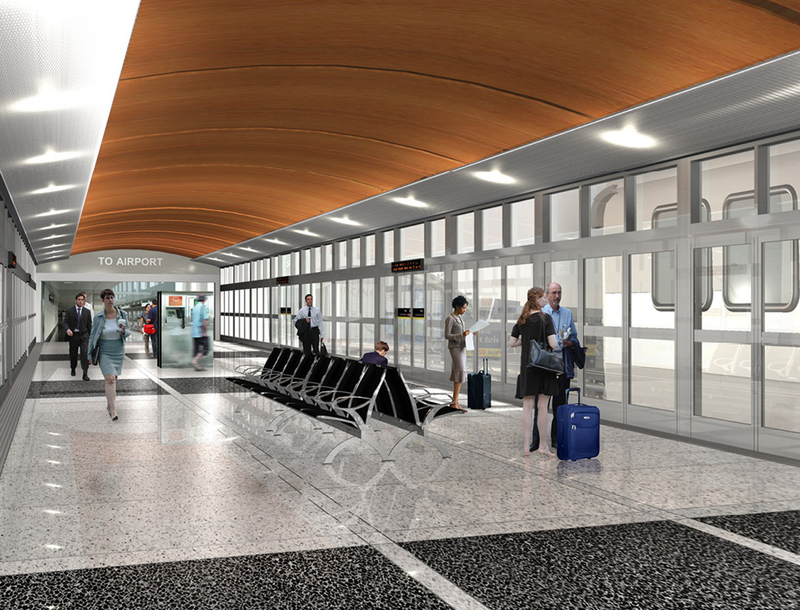 Prior to the P3 bid process, Strasman Architects Inc. were retained by the Air Rail Link Group (SNC Lavalin) to design all of the stations on the Air Rail Link-Union Station,Weston, Dundas West and Pearson.